KFB Candid Conversation presents a discussion about the topical issues facing the agricultural industry and rural communities in a question and answer format. 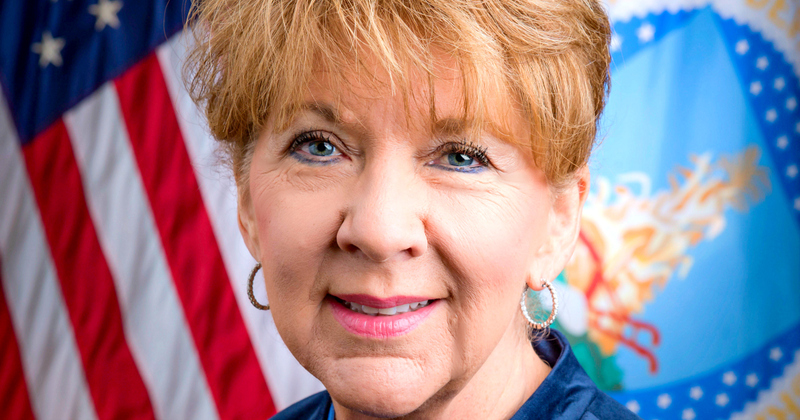 In this column, Hilda Gay Legg, State Director of USDA Rural Development-Kentucky talks about that agency’s role in assisting rural communities. Could you tell our readers something about what USDA Rural Development does or its mission? Absolutely! USDA Rural Development (RD) provides grants and loans to residents, organizations and businesses in rural communities. These investments can go towards housing, infrastructure for community facilities, business expansion, telemedicine to fight opioid misuse, and my passion, bringing broadband to every rural home. Three things that are critical to the success of the RD mission are infrastructure, partnerships and innovation (IPI). In Kentucky, we often hear about initiatives taking place in our more populated areas, but how important are rural communities as they relate to the state’s overall economy and what role does Rural Development play in assisting those rural communities? The importance of our rural communities cannot be overstated. To put it simply, our farmers provide food to the citizens of the United States of America and the world. Without rural communities providing essentials like food along with fiber for our clothes, the heavily populated areas would experience significant setbacks. That is why RD is such a critical agency. RD assists rural communities in several ways through IPI. We provide low-interest loans with zero down payment required to obtain a mortgage. Safe and affordable housing is necessary to establishing a high quality of life in rural communities. In certain situations, we can also provide grant money to individuals desperately needing home repairs. Our community facilities program provides grant and loan funding to build infrastructure for critical community facilities. Unfortunately, Kentucky is experiencing a serious need for medical facilities equipped to deal with the opioid crisis, but RD has the capability to help fund infrastructure for health care buildings and equipment. RD also has money available for distance learning and telemedicine, which can provide remote counseling for an individual needing to speak with a recovery professional anywhere in the state. Rural economies cannot grow without rural businesses, and RD can guarantee loans for the development of business infrastructure. We have programs with grant money available, and a couple recently opened for applications. Our Socially-Disadvantaged Groups Grant program provides technical assistance to socially-disadvantaged groups in rural areas, and the application window is open until late July. Our Rural Cooperative Development Grant program helps improve the economic condition of rural areas by helping individuals and businesses start, expand or improve rural cooperatives and other mutually-owned businesses, and this application window is also open until late July. How important to Rural Development is the Farm Bill? The Farm Bill is important because it directly affects farmers. The federal budget is approved by Congress, and the Farm Bill is an additional source of funding approved approximately every five years to aid farmers. The Farm Bill allows USDA to continue record accomplishments on behalf of the American people, while providing new opportunities and creating jobs across rural Kentucky. It enables USDA to further expand markets for agricultural products at home and abroad, strengthen conservation efforts, create new opportunities for local and regional food systems and grow the biobased economy. It provides a dependable safety net for Kentucky’s farmers, ranchers and growers, and ensures access to safe and nutritious food for all Americans. Infrastructure and broadband needs are critical to farm families and rural communities. What types of programs does Rural Development oversee that deals with these areas? I couldn’t agree more about the critical need for infrastructure and broadband in rural communities. These are also important to President Trump and Secretary Perdue, so I imagine we’ll be seeing some big things happening over the next few years. President Trump has made an unprecedented commitment to improving the infrastructure of rural America by investing $50 billion in funding towards infrastructure. Broadband is a passion of mine, and I am devoted to building the “last mile” to every household in rural communities. According to the Federal Communications Commission, 39 percent of rural Americans don’t have broadband access, which is unacceptable. We know farmers need broadband just as much, if not more, than individuals in highly populated areas, yet there is an enormous disparity between rural communities and larger towns and cities. Our rural farmers need this infrastructure to farm more effectively and efficiently, and rural homes need broadband to access healthcare and education opportunities. Rural businesses need broadband to conduct both local and global businesses. This is something the Trump administration is absolutely focused on, and it is certainly a priority of mine to do everything I can to support this administration and build this infrastructure in rural Kentucky. Many RD programs deal with developing infrastructure; our agency essentially has the ability to fund the complete development of a new city. I previously mentioned our housing and community facilities programs, but we also have a water and environmental program, which provides loan and grant money to improve existing water infrastructure or build new water treatment plants. So far this fiscal year, RD has invested over $25 million in our water and environmental programs. And in FY17, we invested over $55 million to improve the water infrastructure in Kentucky. What issues do you see as currently having the biggest effect on rural development and farming communities? The opioid crisis. It has hit our rural communities in a major way, and we need to address this issue before we can begin to thrive economically. A recent report by the Centers for Disease Control identified 220 counties across the country at risk for substance misuse, and 54 of those counties are located in Kentucky. A vast number of people across our state have been impacted by this epidemic in some way, and we cannot build strong economies without a strong workforce. Do you find that a lot of people are unaware of the many different programs offered through Rural Development? I certainly wish more people were aware of our programs, which is why I’m consistently out talking to local leaders, speaking to civic and community organizations, along with residents across the state to discuss the need to focus on IPI. I encourage anyone with innovative ideas to call me and discuss how we can partner together to bring RD programs to their community. If we concentrate on IPI, we can truly improve the quality of life inside our rural communities. How important are relationships with organizations like Farm Bureau to the success of Rural Development? Extremely important. RD will not be successful unless we focus on IPI, so partners like Kentucky Farm Bureau are essential to our success. This interview is a prime example of how IPI can work. Your previous question asked if there are people unaware of RD programs, and I imagine some people are reading about RD for the first time. Our partnership with Kentucky Farm Bureau provides me the opportunity to reach out to those people, and let them know RD is ready to work with them to build infrastructure in their communities, and I’m looking for innovative ideas to do that. And for those who are already familiar with RD, I challenge them to start thinking of new, innovative ways we can partner together, and start thinking about doing things a little bit differently than have been done in the past. I strongly believe concentrating on IPI can enhance the ability of RD programs to improve the lives of farmers and rural citizens, and sincerely appreciate the opportunity afforded by Kentucky Farm Bureau to share my goal of partnering with local communities to increase quality of life across the Commonwealth. I encourage anyone with ideas to call my office at (859) 224-7300. As a proud member of Kentucky Farm Bureau, I know there are many great people who will read this interview, and I thank you for the opportunity to reach out to my fellow members!